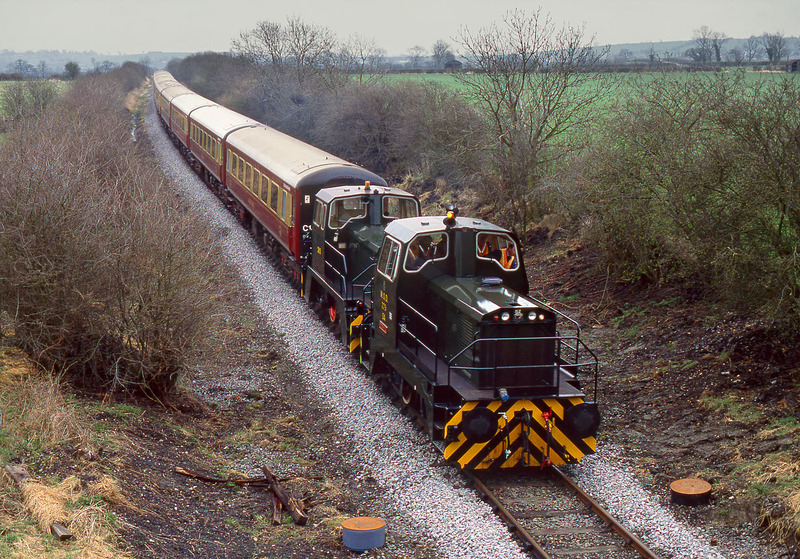 Army locos 273 Edge Hill & 265 have a very unusual load to haul as they traverse the MoD line from Fenny Compton to Kineton on 28 March 1992. They are passing Knightcote with the Branch Line Society 'Kineton Pullman' railtour. The tour had started from Manchester Piccadilly behind 47597, with 58013 added later for working top'n'tail up various branches. Ironically I had visited this location a month previously and had taken a picture of a more normal sort of train you would expect to see at this location.